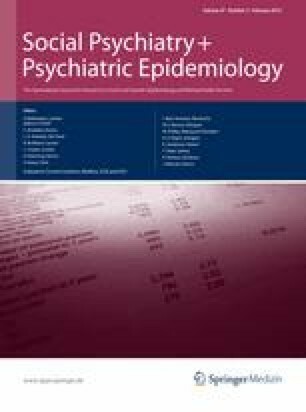 To present prevalences of lifetime and 12-month DSM-IV mood, anxiety, substance use and impulse-control disorders from the second Netherlands Mental Health Survey and Incidence Study (NEMESIS-2), and to compare the 12-month prevalence of mood, anxiety and substance use disorders with estimates from the first study (NEMESIS-1). Between November 2007 and July 2009, a nationally representative face-to-face survey was conducted using the Composite International Diagnostic Interview 3.0 among 6,646 subjects aged 18–64. Trends in 12-month prevalence of mental disorders were examined with these data and NEMESIS-1 data from 1996 (n = 7,076). Lifetime prevalence estimates in NEMESIS-2 were 20.2% for mood, 19.6% for anxiety, 19.1% for substance use disorder and 9.2% for impulse-control disorder. For 12-month disorders, these figures were 6.1, 10.1, 5.6 and 2.1%, respectively. Between 1996 and 2007–2009, the 12-month prevalence of anxiety and substance use disorder did not change. The prevalence of mood disorder decreased slightly but lost significance after controlling for differences in sociodemographic variables between the two studies. This study shows that in the Netherlands mental disorders are prevalent. In about a decade, no clear change in mental health status was found. The Netherlands Mental Health Survey and Incidence Study-2 (NEMESIS-2) is conducted by the Netherlands Institute of Mental Health and Addiction (Trimbos Institute) in Utrecht. Financial support has been received from the Ministry of Health, Welfare and Sport, with supplement support from the Netherlands Organization for Health Research and Development (ZonMw) and the Genetic Risk and Outcome of Psychosis (GROUP) investigators. We thank the staff of the World Mental Health Data Collection and Data Analysis Coordination Centres for assistance with instrumentation, and consultation on data analyses (prof Ronald Kessler, Nancy Sampson, Alison Hoffnagle, Nicholos Allis). We thank the external (prof Paul Schnabel (chair), prof Aartjan Beekman, prof Jozien Bensing, prof Wim van den Brink, Wim Brunenberg, prof Hans van Oers, prof Hans Ormel and Mady Samuels) and internal advisory committee (Margriet van Laar, prof Filip Smit and Jan Walburg) for their contribution to the study.